"Kate Petrie has been traveling the world helping animals over the last few years, now she's back in Sydney hoping for a chance to be the new Bondi Vet"
Dr Kate always know why my Simba isn't feeling his best! She's the vet I trust and turn to for caring for my four legged furry family member! 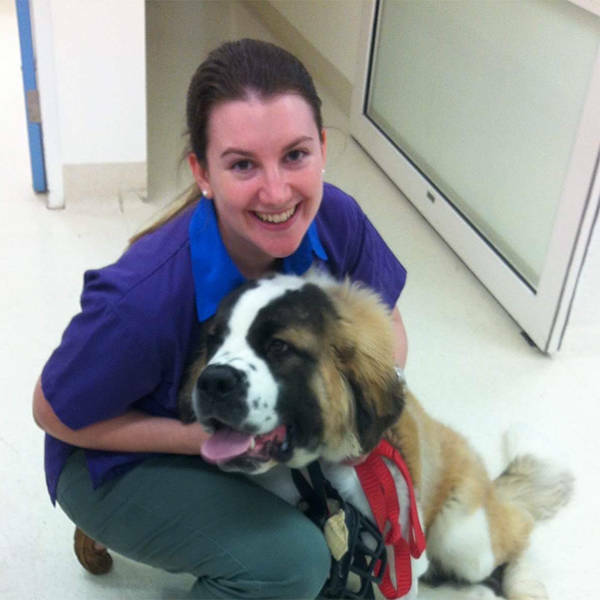 Kate's genuineness and warmth, to both animals and fellow humans would make her the best choice for the next Bondi Vet! Thank you Dr Kate for bringing these sweet little pups into the world! A true professional and def top pick for the next Bondi Vet! Kate is a great friend of billy the jack Russell! I can't speak more highly of Dr Kate and 100% believe she will be the best next Bondi Vet ! Kate is a wonderful person; fun, kind and caring. She is also a talented vet and excellent at what she does. Kate would be the perfect Bondi Vet! Bertie loves Kate, he suffers with seizures but is much better now with medication. It is great to have had a vet where my pooch feels so comfortable.